In the summer I work in the garden in a lot. I have a flower garden, a vegetable garden, and an herb garden. It takes a lot of work to plant it and maintain it but I enjoy working outside in the summer. The only problem is that my hands and elbows get really rough from working outside and even my feet become rough because I often walk outside without shoes. The thing I’ve found that works best on my rough summer skin is sugar scrub. 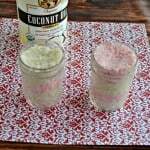 I love the brightly colored and delicious smelling sugar scrubs that can be bought in many of the bath and body stores but they cost so much money. So this summer I decided to make my own! 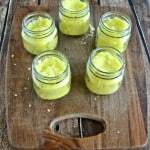 I made a peppermint sugar scrub for Christmas gifts and went for a Lemon Sugar Scrub for summer because it’s bright and fun. The best part of this scrub is that it only takes a handful of ingredients to make, most of which I already had on hand. The main ingredient is sugar. 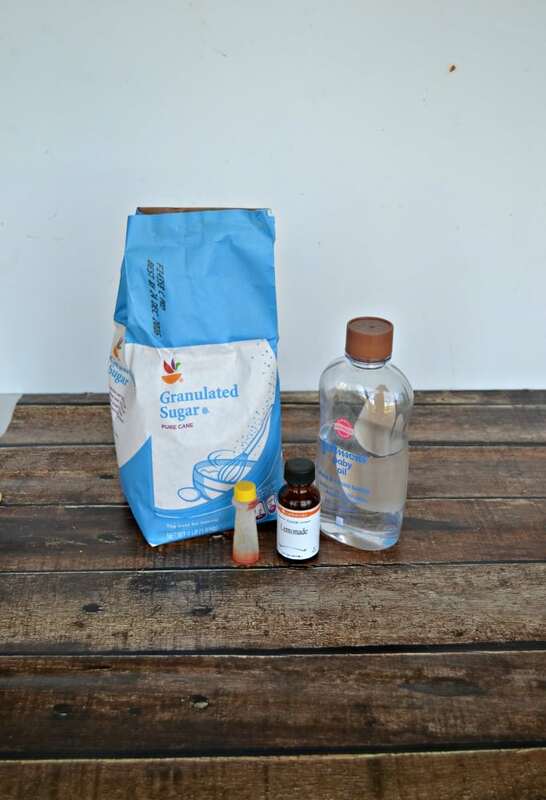 Most sugar scrubs have some type of oil in them. I know many people use coconut oil which feels and smells wonderful but it’s really expensive. I like using baby oil because it leaves the skin nice and smooth. 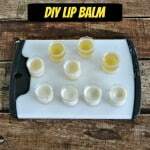 In addition to that all that is needed is some lemon essential oil and yellow food coloring. I mixed everything up in a bowl and that’s it! 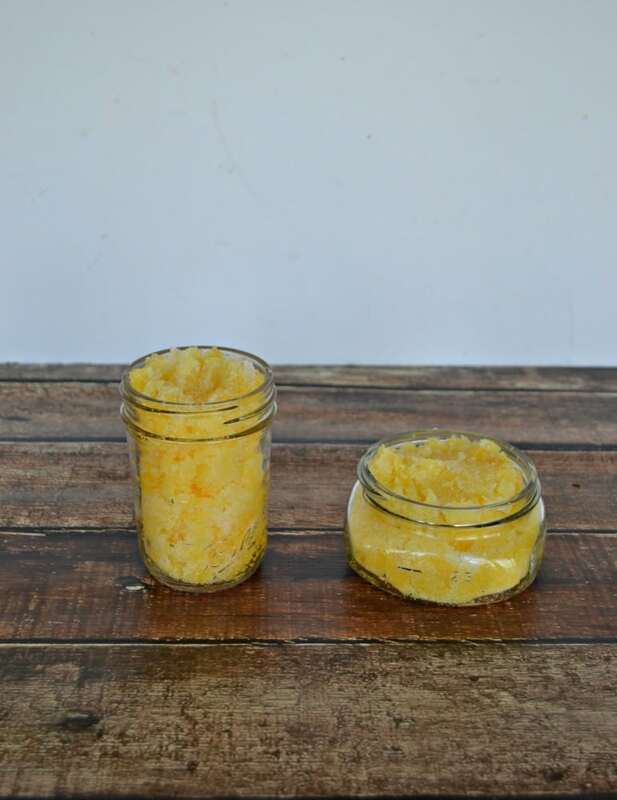 I scooped the mixture into two half pint jars, put on the lids, and tied each one with the ribbon. I kept one for myself and I gave the other one to my mom so she could use it after she finished gardening. 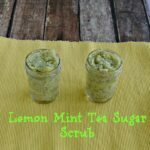 The lemon sugar scrub leaves a light lemony scent and really smooths the skin. 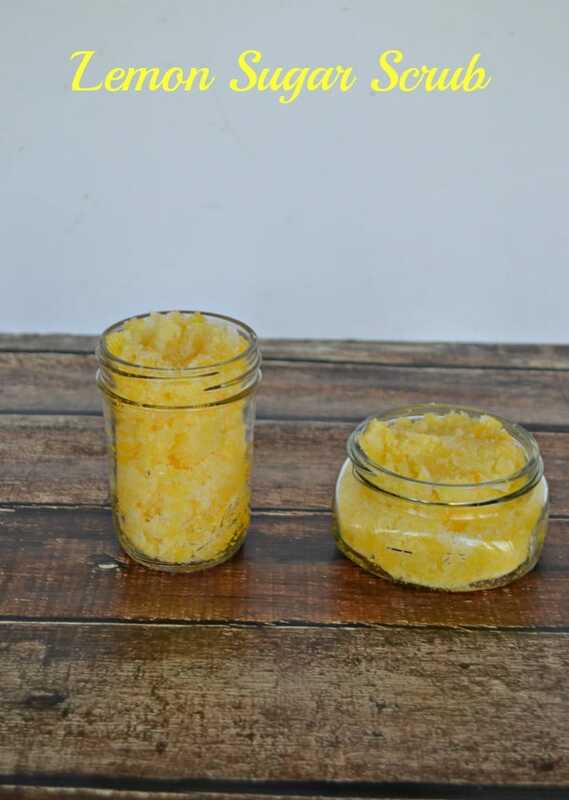 A bright and lightly scented Lemon Sugar Scrub is perfect for smoothing rough skin. In a large bowl combine the sugar and baby oil. Mix until the sugar is moist. Add in the lemon oil and yellow food coloring and mix well. Divide the mixture in half and fill each of the jars. Place the lid on top and tie with a colored ribbon.